In this work the development of law in post-Marxist Russia is in the role of a big case-study. - The Western spectators, critics, totally miss the depth of the social distortion caused by the implementation of the Marxist ideology and hence the challenge of the transformations in Russia (I hope that I may hereby with a new philosophical and scientific approach advance a deeper understanding of the issues at hand). Understanding the fundamental notions of law, justice, democracy and economy, and their interaction (and even more correctly: them being different perceptions of one) helps to understand how fortunate Russia and the whole world were with having had Boris Yeltsin manage the transformation of Russia back into life, and having Vladimir Putin steering Russian society in life.- Their leadership has been a gradual creation of the framework for equal competition: the fundament of a functioning society; creating the economic conditions for more people to participate in social life on equal basis; reducing the influence of criminal inference in politics (often happening under the thin cover of ballot-box procedures); Creating conditions for free press to develop (by removing the monopolies of the impudent). 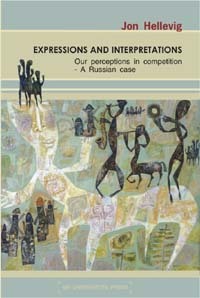 When one ventures to understand the legal culture of todayвЂ™s Russia, then it is especially important to comprehend that law texts (statutes and cases) are merely strong arguments in the practice of law, and that law is essentially about social practices (or depending on the perspective вЂ�legal practicesвЂ™). The legal practices are the legal culture and the legal culture is the totality of all the perceptions that add up to what we call law. The dilemma is that a legal culture cannot be imposed (because it is not a thing), it can only emerge in an evolutionary way вЂ“ hereby what political leaders (and opinion leaders) can do is to be instrumental in developing a healthy legal culture (and this is exactly what has been and is being done by the Russian presidents Yeltsin and Putin). The Marxist law philosophy led to a total destruction of all legal practices вЂ“ the meaning of вЂ�lawвЂ™ lost all the distinctive characters that this notion had had from the beginning of history. вЂ�LawвЂ™ ceased to be law. - In the Soviet Union, in meticulous implementation of the Marxist program, any socially organized activity properly called law was prohibited. Nevertheless, soon after the early revolutionary years there developed a Soviet legal theory and jurisprudence was studied in universities. Inasmuch doctrines propagating the Marxist view were the only ones allowed in social sciences all legal scholars could do was to practice a game with concepts: a form of conceptual jurisprudence void of any content, and therefore not socially dangerous to the regime. The study of law became an activity totally detached from the practices of life. 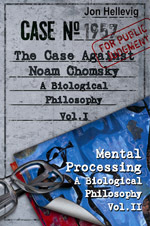 вЂ“ I stress the role of these wronged traditions of jurisprudence as a very key impediment on the road to restoring real life legal practices in post-Marxist Russia; the Marxist way of thinking вЂ“ the distorted thinking - lives on in the concepts and in the ideas that concepts arranged in a certain fashion yield knowledge and solutions for life. - The problem is compounded by the poor level of teaching of law in Russian universities. As the Soviet normative system lacked all the essential elements that merit the name вЂ�lawвЂ™; I prefer to call it a no-law system. I want to attract attention to some of the fundamental conditions meriting the Soviet system to be characterized as no-law. I refer to these conditions as вЂ�no-law actual premisesвЂ™ (i.e. such features that objectively were lacking in the Soviet Union), and вЂ�no-law formal premisesвЂ™ (i.e. such policies, and formal circumstances that made up the normative framework, and hence restrained the activity of law). There is a persistent perception that the Russians are collectivist and submissive, while in reality it is totally the other way around. Russians are probably the most individualistic people in Europe, which makes it so much more difficult to implant any collectivist ideologies by mere authority, instead Russian people need to be convinced by practical arguments. Only a pragmatic and competitive social environment sustained by long social and legal practices creates a suitable form of government in Russia. This also explains the relative difficulties in the transition. Another perception is that Russians have not wanted to adopt the вЂ�rationalвЂ™ Western philosophical traditions. In principle this is true, as long as one keep in mind that they have been correct in opposing those metaphysical primitive traditions from Kant to Hegel and the anti-individual Rousseauan traditions (Walicki, p. 327). - Instead pre-revolutionary Russia demonstrates some very healthy philosophical traditions (among them the formidable work of the philosopher of law Petrazycki). вЂ“ There was nothing inevitable with the Marxist seizure of power; if this had not happened Russia could as well have developed as an orderly democratically competitive country, but instead with the Marxist ideology Russia entered a long-period of social and economic decline. The distortion of legal practices has a lot to do with the fact that in the Soviet Union all official life was overtaken by rituals that mask reality. Hence all that was real had to be dressed in forms that met the requirements of the surreal planned society. 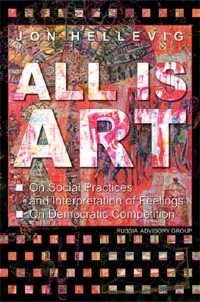 In contemporary Russia this distortion lives on firmly anchored in the social practices of highest order i.e. in the language. вЂ“ (The business of a Russian lawyer is to dress up documents for a stage show). - The legal-administrative language is not only life-estranged it is the creator of hocus-pocus concepts that people accept as rulers over their lives. I note that President Putin, actively and correctly addresses these problems. He stresses the need to enforce civil society and the role of the legal community in this against the background of a state administration, which is in dire need of improvement. He calls for an emphasis on improving the legal education. Against the failure of the legal profession, scholarly and practical (Russian domestic and foreign), to understand the essence of the problems with Russian law (i.e. the failings of jurisprudence, legal practices and the life-estranged bureaucratic language) what really strikes is how Putin penetrates the very philosophical essence of the problem by urging lawyers to open to life and broaden their horizons beyond the narrow-minded mechanical twisting of the legal lexicon. Putin defines a вЂњreal lawyerвЂќ as вЂњa person who is philosophically inclined and at the same time endowed with a vast amount of practical knowledge in the field of his specialization.вЂќ вЂ“ This is really hitting the mark, and a thorough demonstration of the essence of the problem connected with the prevailing superficial notion of law and the awkward legal-bureaucratic language. It is futile to try to understand todayвЂ™s reality in Russia without considering the Marxist heritage. But, the aspect-blind critics do not understand how totally opposite to democracy, market economy and a free society the Soviet Union was and that it could not be reformed; an altogether new social path had to be chosen. - Gorbachev undertook the impossible task to reform the Soviet Union and as he did not understand that it indeed was impossible he was bound to fail. вЂ“ It was only under the leadership of Yeltsin that Russia was quickly pulled out from the enormous social chaos. - We can see that element by element all the fundaments for a functioning system of law were missing in Russia when Boris Yeltsin began to breathe fresh life into Russia. It was against the background of the Soviet no-law system that Yeltsin in year 1990 commenced to provide for a normative stability anchored in freedom and democratic competition. The historical importance of Yeltsin is in fact a combination of his visionary leadership, a superior practical reason and intelligence, a well developed sense for intuitive knowledge, and a willingness to sacrifice all - including himself вЂ“ for the cause of a better future. President YeltsinвЂ™s role was that of taking care of the bankruptcy estate left over from the Marxists вЂ“ but at the same time he was the engineer for a new society and the protector of peace. He had to ensure peace in Russia and peace in the world while building the fundaments of a free Russia. - History knows many conquerors by force and blood; many conquerors imprisoning people and peoples; and history knows many prisons; - But, before Yeltsin history knows no conqueror whose conquest was peace and freedom to this unheard of extent. - By sweat and tears- with words only. No single person, no political leader or regime, has ever in history freed so many, so many people, so many peoples, so many countries. Nobody has fought such a huge enemy of evil employing only his words, not swords and bombs. With words Yeltsin created the strategic weapon called the oligarchs. вЂ“ Never has so much peace and future been brought with so little sacrifice. What a small price for liberation! вЂ“ The Marxists regime came into being through terror and repression with countless lives lost and taken. Having won the peace, with great personal sacrifices, Yeltsin was able to secure the transfer of power to Vladimir Putin. - Putin had a chance to bring the society to the next stage from the platform Yeltsin had secured. вЂ“ And Putin used this chance with remarkable precision and success. He managed an unprecedented transformation of Russia further to equality, and prosperity, setting the foundations for law and justice.